For Navy Times, the allegations that CNO nominee Adm. John Richardson and Rear Adm. Joseph Tofalo, head of the Pentagon’s Undersea Warfare shop, violated the 1913 Anti-Lobbying Act triggered a crash-course in arcane lobbying rules that almost everybody in Washington has seemingly figured out how to circumvent. The Project on Government Oversight, the watchdog group that threw the penalty flag on Richardson, claimed the admirals were coordinating a grassroots campaign to fund the $80 billion Ohio-class submarine replacement program. Yes, both speeches were a little silly, but remember that NSL is essentially a pep-rally for the sub community, pas and present, and industry, with press in attendance. The reason for this is, as one source described it, to protect against the fabled government “self-licking ice cream cone.” That is a government program or entity that exists primarily to sustain itself, and often has ceased to provide a public benefit. In essence, the Anti-Lobbying Act of 1913 defends against a situation in which the executive branch uses taxpayer money to lobby for more money, creating massive and unsustainable self-licking ice cream cones. Experts seem to agree that’s not exactly what Richardson and Tofalo were doing, though most also acknowledged they had entered the danger zone. 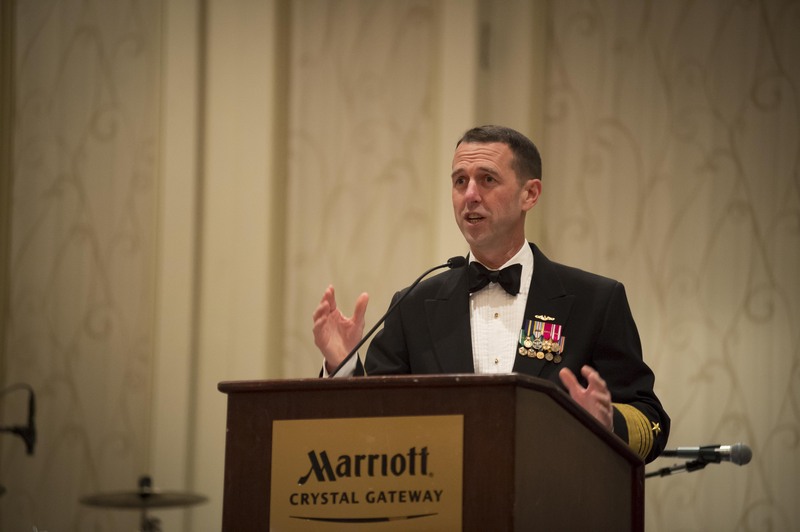 Two Navy sources said that while admirals and senior leaders implore audiences to “advocate” for programs, they are generally careful to avoid saying “call your congressman.” But, let’s be real, that’s what they mean. What seems clear is that what POGO is doing is a bit like a ref calling “holding” in a football game: everybody does it all the time, but refs tend to only call it when they think its particularly egregious. If they called it every time, the game would be bogged down in penalty calls. Experts who spoke to Navy Times, as well as sources in the Navy, agree this was not an egregious infraction of the rules, though it’s a gray area that senior leaders generally try to avoid. David Sheldon, the attorney who is quoted in the story, even laughed it off a bit, saying that in a time when admirals are dropping left and right from allegations of bribery and contracting fraud — a reference to the ongoing Fat Leonard scandal — it would be a waste of time and resources to run down such a petty infraction. It’s probably not an infraction at all.